Proprietary highly porous, biocompatible polymer beads are the key to CytoSorb technology. While it has yet to receive FDA approval for use in the United States, a new blood filtration system is already being employed extensively in European intensive care units (ICUs) and those in many other countries around the world, with impressive results. CytoSorb, produced by New Jersey-based Cytosorbents, is a special filter cartridge designed to remove excess inflammatory cytokines from the blood, and in doing so prevent organ failure. Localized inflammation is a normal response to injury or infection, and helps to bring blood cells, oxygen and nutrients to the affected area to assist in the healing process, the company explained. The body’s immune system, however, frequently overreacts in response to life-threatening conditions such as sepsis and infection, trauma, burn injury, severe lung injury, liver failure, pancreatitis, influenza and many others. This overreaction can lead to the production of a massive excess of inflammatory mediators, particularly cytokines, which is often called a “cytokine storm.” Cytokines are a class of more than a hundred different small proteins that normally serve to stimulate and regulate the immune response to help the body cope with injury and infection. A cytokine storm is toxic to the body, driving severe generalized inflammation (often called SIRS, or a systemic inflammatory response syndrome) and a cascade of pathophysiologic changes in the body that can cause cell death, organ failure and often lead to the death of the patient. The reduction has the potential to limit this cascade of events, helping to mitigate organ injury, while reducing the severity of illness and helping patients to recover and survive. Until the introduction of CytoSorb, its maker said, there have been no effective ways of broadly reducing a cytokine storm. Anti-inflammatory drugs such as painkillers are too weak and immuno-suppressive treatments such as chemotherapy or radiation are too strong. CytoSorb not only targets the reduction of circulating cytokines, but can remove bacterial toxins and a host of other inflammatory mediators in whole blood that can result in SIRS. The filter system is compatible with standard hospital equipment such as hemodialysis machines, continuous renal replacement therapy (CRRT) machines, heart-lung machines, most extracorporeal membrane oxygenation (ECMO) machines and other blood pumps found in most hospitals. 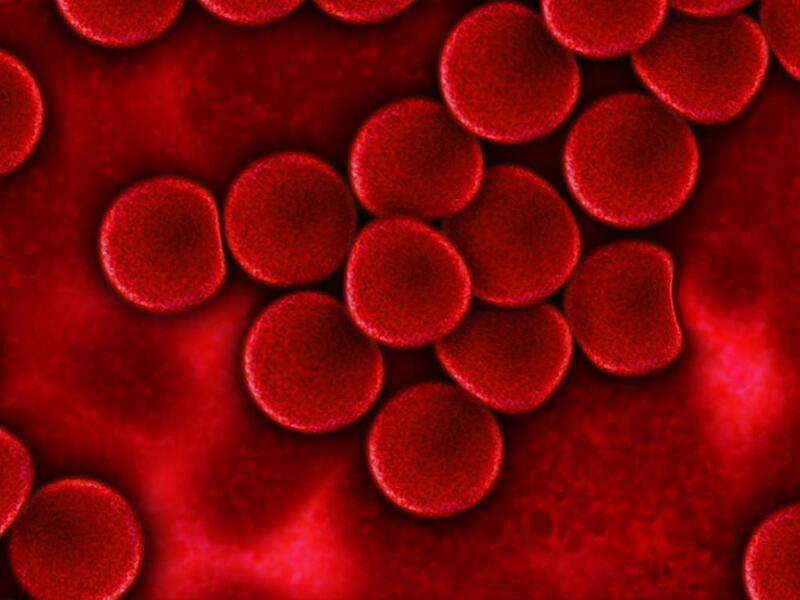 “It’s really a plug and play cartridge, where basically you take blood out of the body, pump it through the cartridge, the cartridge extracts the inflammatory toxins from the blood, and that purified blood is then re-circulated back into the body over and over again to the point where in 24 hours we can treat the entire blood volume 70 times or more,” explained Cytosorbents CEO Phillip Chan. 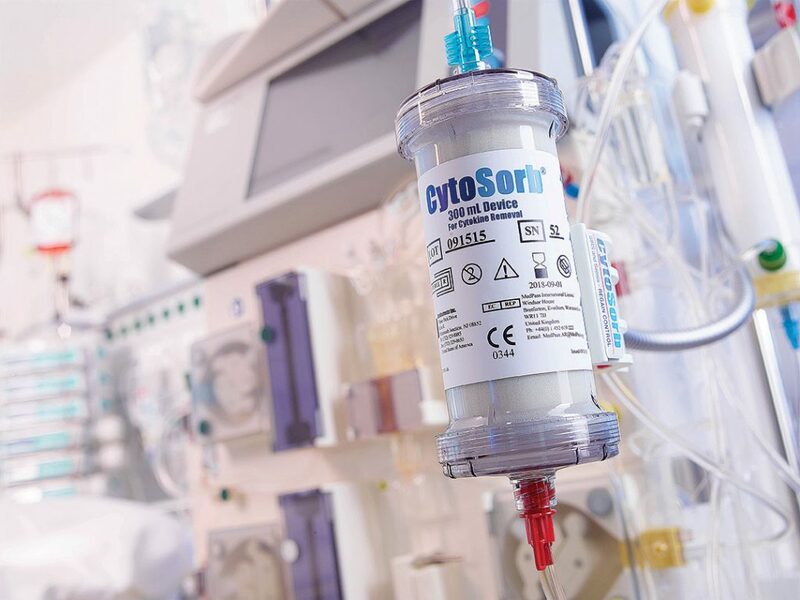 CytoSorb is clinically proven to reduce cytokines from the blood of critically-ill patients and has been generally safe and well-tolerated in more than 23,000 human treatments to date. Most of the treatments have been on critically-ill patients, but approximately 5,000 have been performed during open heart surgery. The key to the CytoSorb technology is the company’s proprietary highly porous, biocompatible polymer beads. Each of these spherical beads is approximately the size of a grain of salt and synthesized to contain millions of optimally-sized pores and channels. Collectively, the pores and channels have a massive surface area that enable the beads to behave like tiny sponges to safely bind and effectively remove a broad range of inflammatory and toxic substances from whole blood and plasma via pore capture and surface adsorption. Large substances, such as blood cells cannot get into the pores and go around the bead unaffected. Similarly, very small substances, such as electrolytes, are too small to be captured and go through the beads unaffected. But appropriately-sized substances migrate into the pores of the beads and get adsorbed into the external and internal surfaces of the pores and channels and are trapped there. The technology is protected by 32 issued U.S. patents, with multiple applications pending worldwide, and manufactured at the company’s ISO 13485-certified facility in New Jersey. Medical devices don’t come cheap, of course, and in its latest investor presentation Cytosorbents openly refers to its product as a “high margin razor blade” fully compatible with an existing installed base of “razors” – ICU dialysis and ECMO and heart-lung machines in the operating room. The average direct selling price is approximately $1,000 per cartridge, and between one and ten cartridges are typically used per patient. Open heart surgery uses 1-2 cartridges and the treatment of sepsis uses 3-5 cartridges. A single hospital in Germany spent over $1 million on the cartridges in 2016. An entire course of CytoSorb treatment for sepsis, however, is roughly the cost of one day a patient will spend in an ICU, and the overall cost of ICU care in the U.S. has doubled in the past ten years to $108 billion. As a consequence, the technology has already attracted $19 million in grants and contracts from DARPA, the U.S. Army, the U.S. Department of Health and Human Services, the National Institutes of Health (NIH), the National Heart, Lung, and Blood Institute (NHLBI), U.S. Special Operations Command (SOCOM) and others. The company has completed a 40-patient randomized controlled U.S.-based REFRESH (REduction of FREe Hemoglobin) I cardiac surgery safety and feasibility trialing CytoSorb intra-operatively during elective, non-emergent complex cardiac surgery. Pending discussions with the FDA, Cytosorbents now plans to begin a pivotal REFRESH 2 trial, intended to achieve registration and approval of CytoSorb for the application of cardiac surgery by 2019. 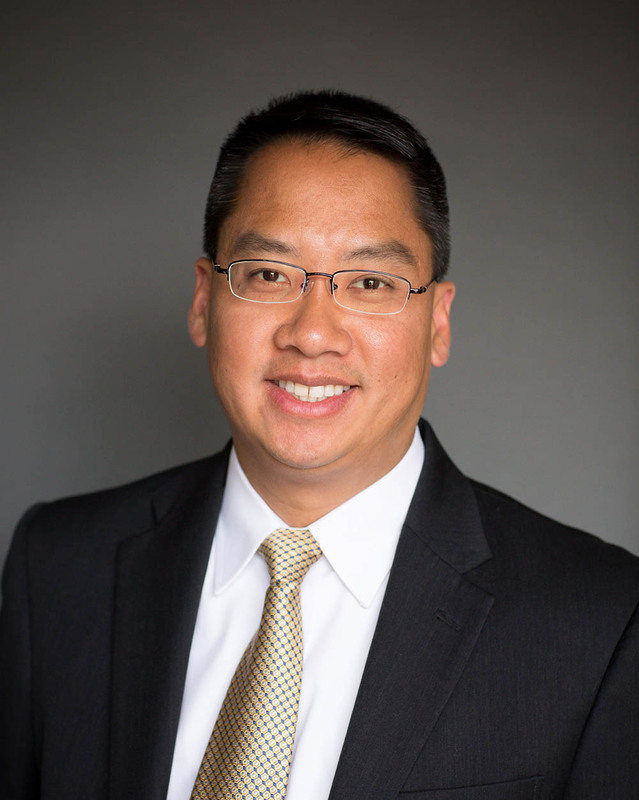 The company is also conducting a 30-patient randomized controlled trial in patients with trauma and rhabdomyolysis funded by the U.S. Air Force. Large substances, such as blood cells, cannot get into the pores of the CytoSorb beads and go around them unaffected. CytoSorbents has numerous other products under development, all based on its blood filtration technology, including HemoDefend, for the purification of transfused blood products of contaminants that can cause potentially dangerous transfusion reactions, ContrastSorb for the removal of IV contrast from blood, and DrugSorb for removing a wide variety of drugs and chemicals from the blood, as a potential treatment for drug overdoses.